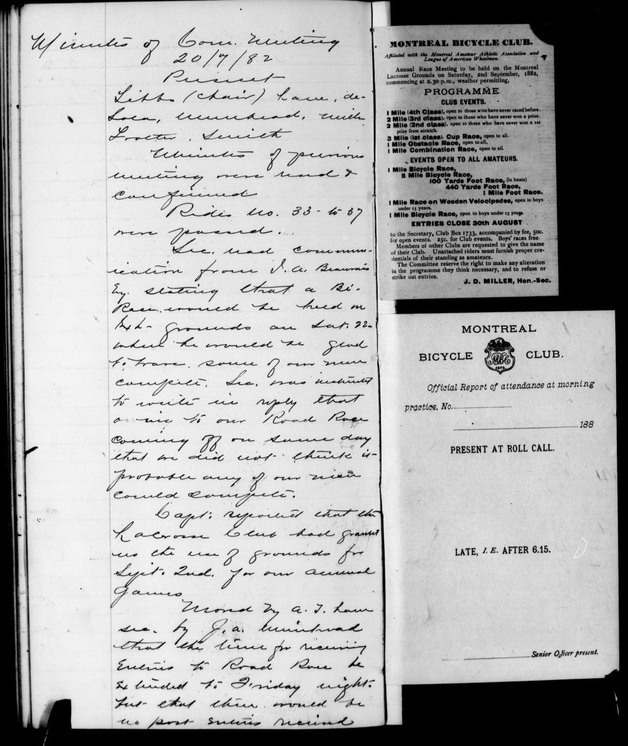 Montreal Bicycle Club 1882. 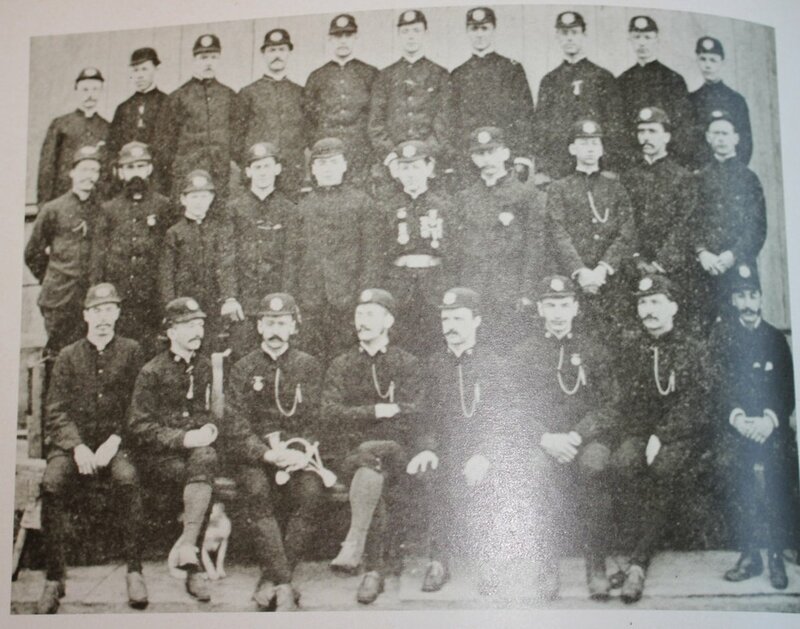 From "A Sporting Revolution: The MAAA 1881-1981" this is the first known group photograph of the club members c/w riding uniforms and club mascot. 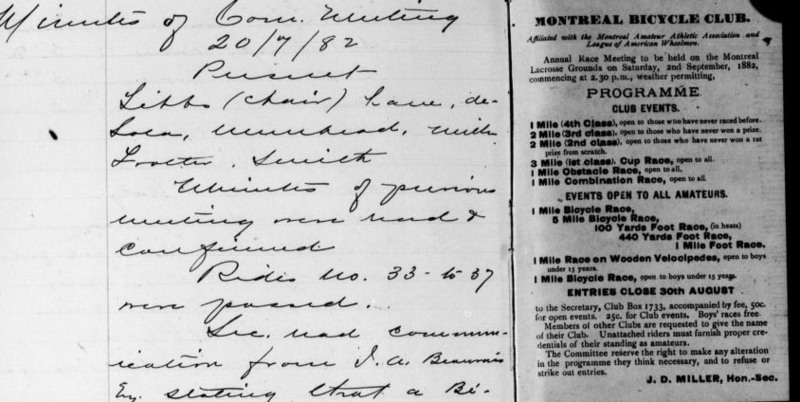 Annual Race Meeting to be held on the Montreal Lacrosse Grounds on Saturday, 2nd September 1882, commencing 2:30 p.m, weather permitting. To the Secretary, Club box 1733, accompanied by fee 50c for open events, 25c for club events. Boys' races free. Members of other clubs are requested to give name of their club. Unattached riders must furnish proper credentials as their standing as amateurs.